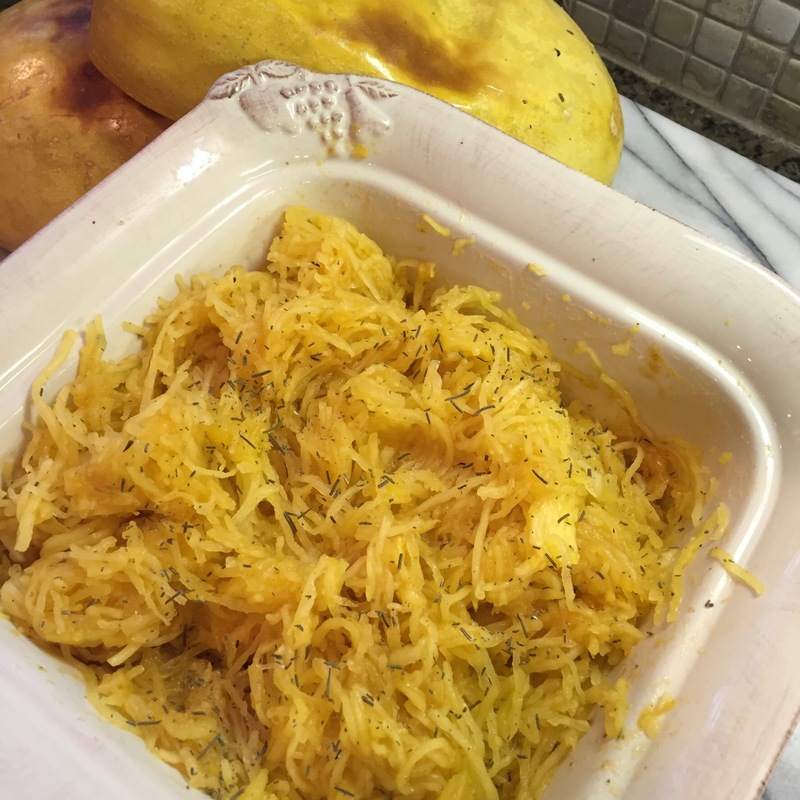 My Farmer’s Market Find of Mini Spaghetti Squash lead me to this devoured meal! I was lucky to get six of these beauties at the last market day. I made my homemade veggie sauce and meatloaf meatballs to top them with. The prep was easy and the clean up was even easier! I wasn’t sure when my guys would be getting home so I prepped everything- Squash, Sauce & Meatballs in thirty minutes. 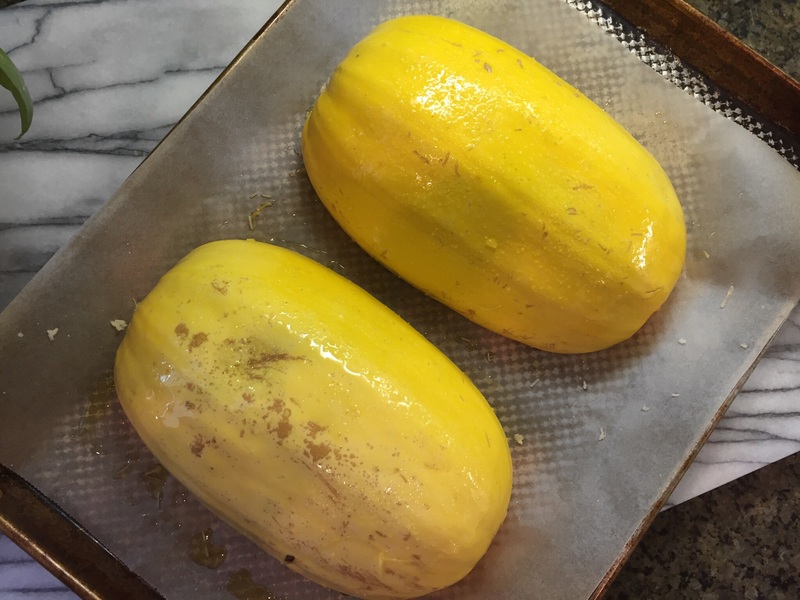 I Prepped Half of the Squash with Olive Oil, Oregano, Salt & Pepper- the other Half with a thin slice of Grass-Fed Butter, & Salt.For the meatballs I used 1 Pound of Organic Grass-Fed Ground Beef, 1 Farm Egg, 2 Tablespoons of Arrowroot Powder/Starch (this is gluten free and easy to digest- put some on your hands and rinse under water to see how it just melts off!) I tossed in 1 carrot and 1 stick of celery into the Vitamix and added this into the meatball mix. It was that easy! I added 1 can of Muir Glen Roasted Tomatoes, 1 Carrot, 1 Stalk of Celery, 2 Cloves of Garlic, 1 Teaspoon of Raw Honey, 1 Teaspoon of Oregano/Thyme Mix to the Vitamix to prep the Sauce. All of that prep was thirty minutes- I was even impressed! 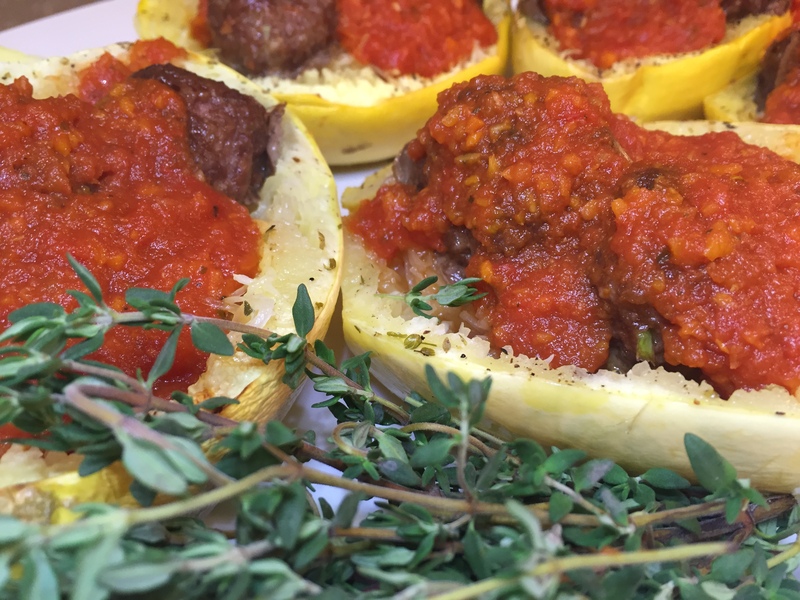 It took 45 minutes to roast the squash and simmer the sauce and 30 minutes to cook the meatballs. Make Teaspoon-Sized Meatballs and place on a parchment lined baking sheet. It will make approximately 1 1/2 baking sheets. I make 5 rows of 4 each. 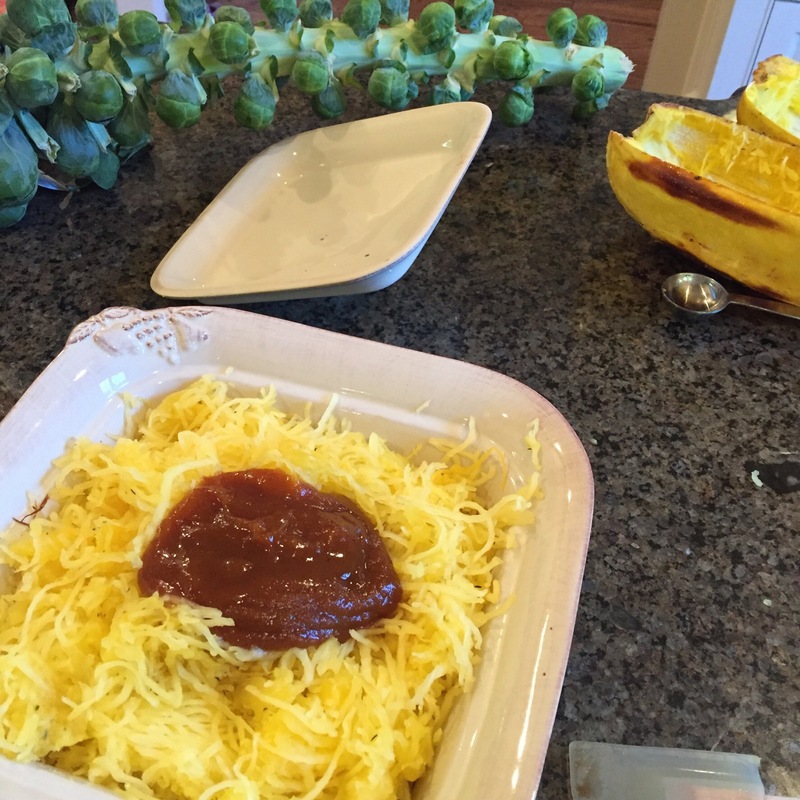 Add Clean Pumpkin Butter (I purchased at Trader Joe’s) to make a quick side dish…or even left overs come back to life! Pumpkin Butter from Trader Joe’s or add any seasonal sauce and give new life to your leftovers!